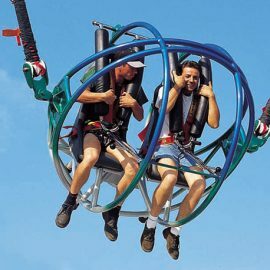 The secret of its success is due to the fact that it’s easy to set up and down, it doesn’t cost much and doesn’t take too much room when installed but gives a very thrilling sensation to riders that’s what most people look for. 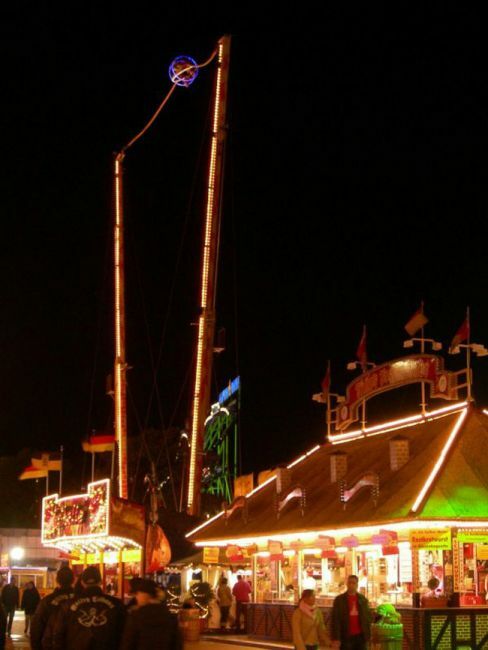 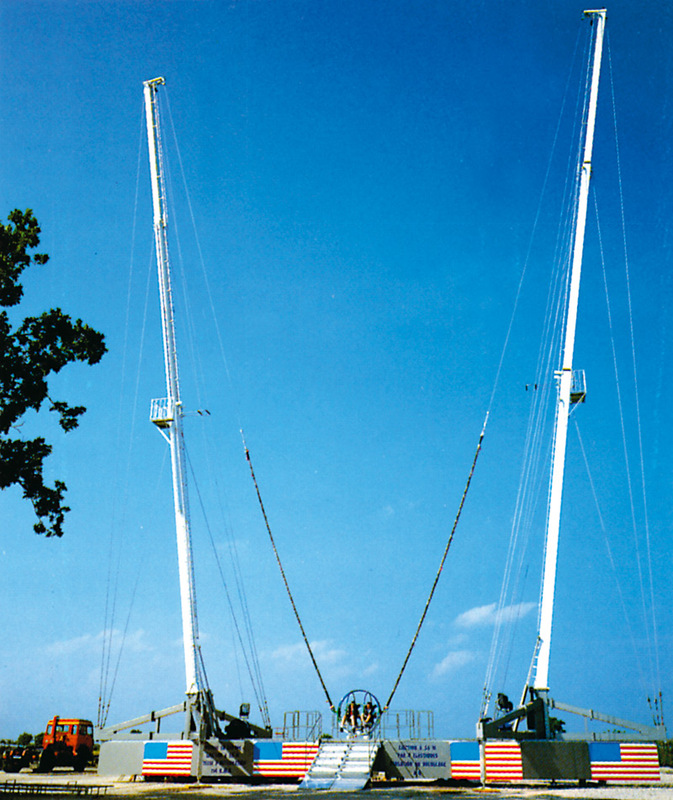 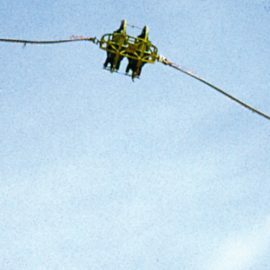 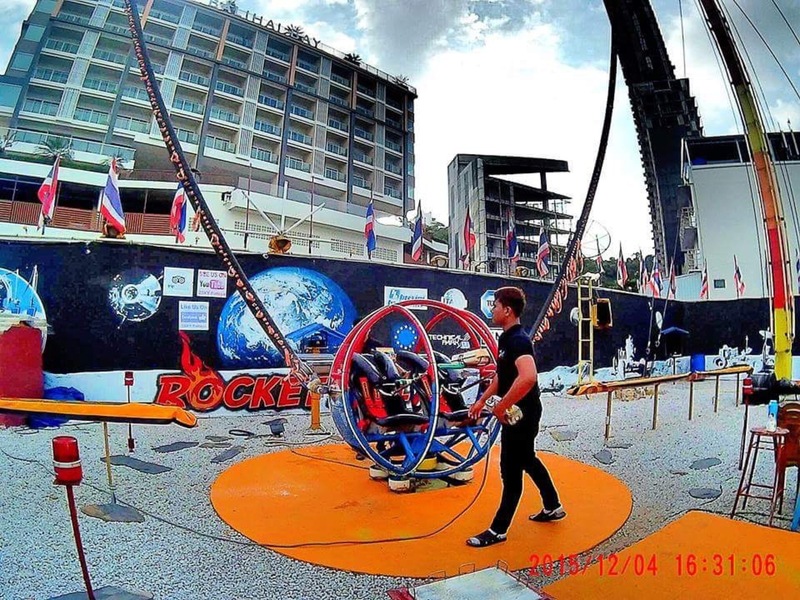 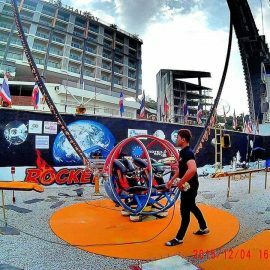 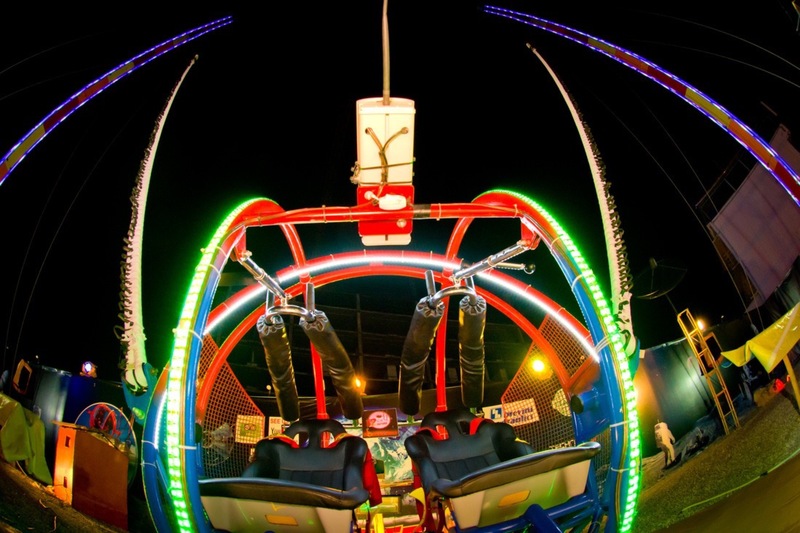 The ride is a reverse-bungee catapult ride, it consists of two steel towers with a bungee cord connected to each tower. 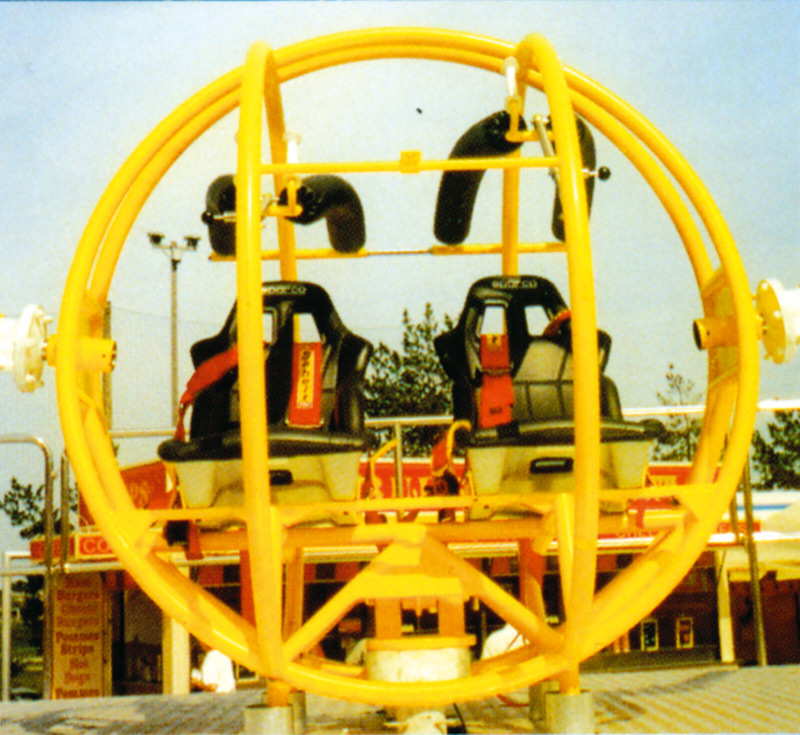 The other ends of the cords are attached to a caged steel vehicle in which 2 riders are seated. 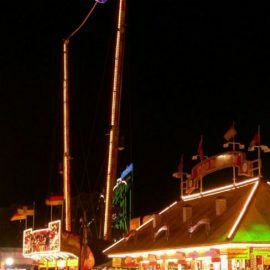 The vehicle is pulled to the ground, where riders board. 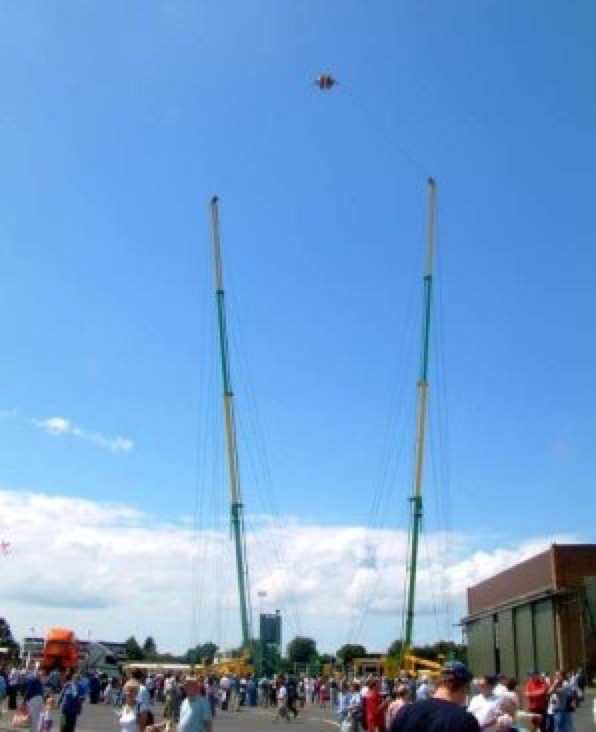 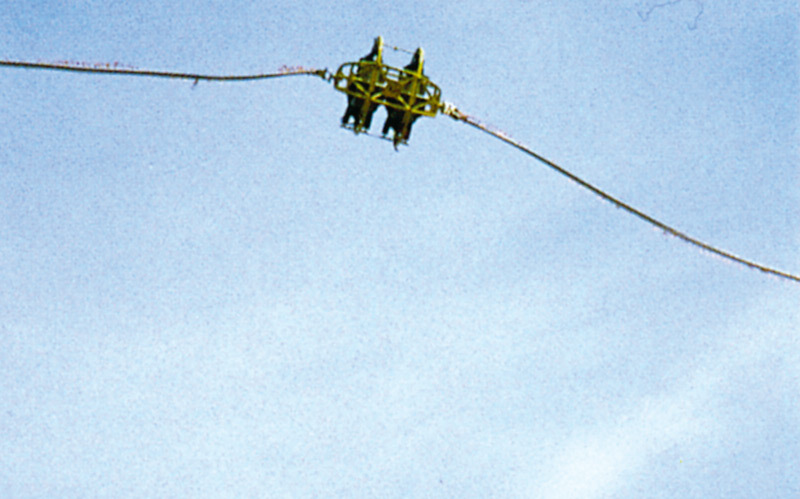 When the vehicle is released from the loading station, the bungee cords engage, sending riders on a high-speed vertical launch 200 feet into midair at speeds of 60 mph. . 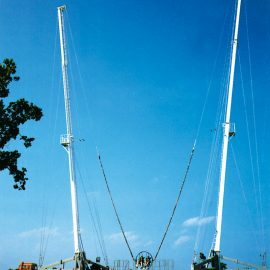 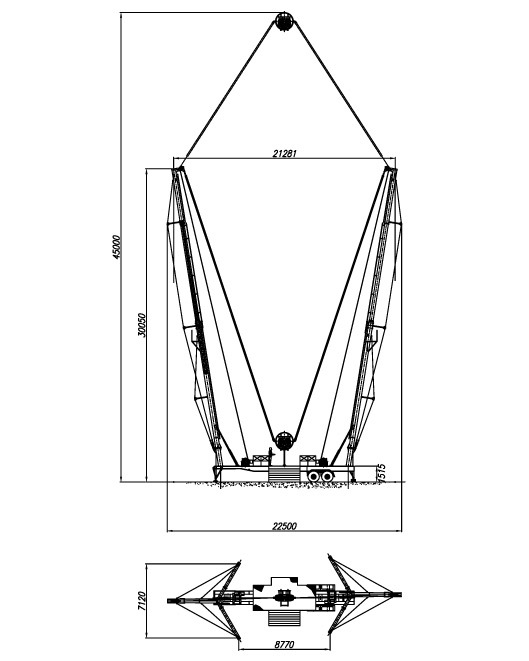 This road model is made up of two telescopic columns mounted on a semitrailer and a 2 seat sphere-shaped vehicle connected to the upper parts of the columns by means of two elastic ropes. 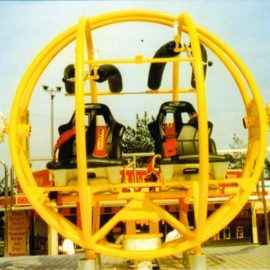 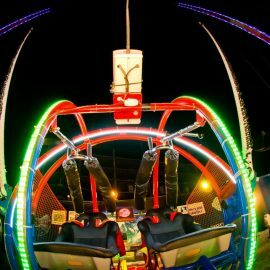 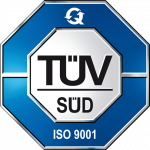 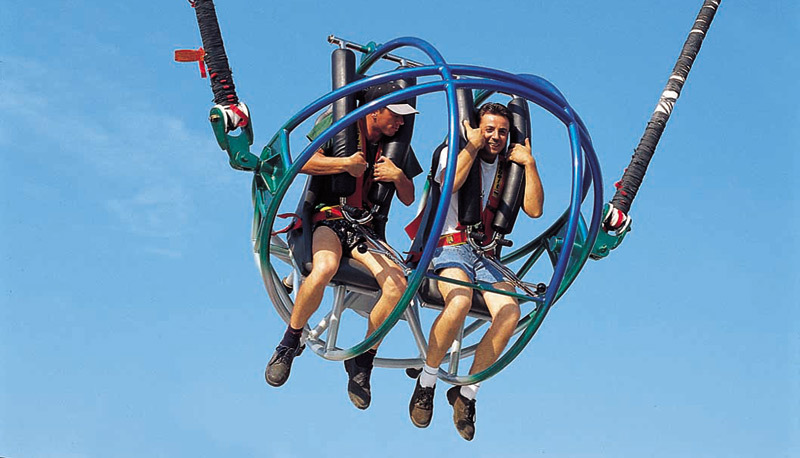 The passenger unit is held to the base of the ride by means of a strong magnet which keeps the elastic ropes stretched. 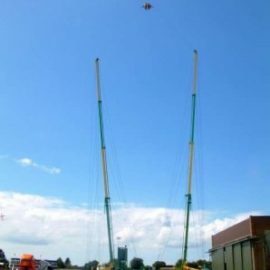 After the command given by the operator from the control panel, the magnet will release the vehicle launching it to a height of 42 m. with an acceleration of 4.8 G. During the launch the vehicle carries out a free looping around its axis making the passengers scream with fear but with a great satisfaction for their new experience.